Hermosa Beach is where Greg Noll and Hap Jacobs first sold surfboards, and where Surfing magazine cofounder LeRoy Grannis snapped that iconic image of Dewey Weber’s cutback off 22nd Street with a 35mm Pentax. Hermosa Beach, some argue, is California’s true surf city. E.T. sits in the middle of the 1.4-mile beach town and is two stories of controlled chaos. It was opened in the early '70s by Eddie Talbot, a shaping protege of Noll. Today, the place lacks the modern flourishes of more mainstream surf outlets. But what E.T. Surf may lack in polish, it makes up for in authenticity. It's beloved by loyalists, most of whom have been picking up their surf and skate necessities since buying their first E.T. Ripstix as kids. Just being in E.T. 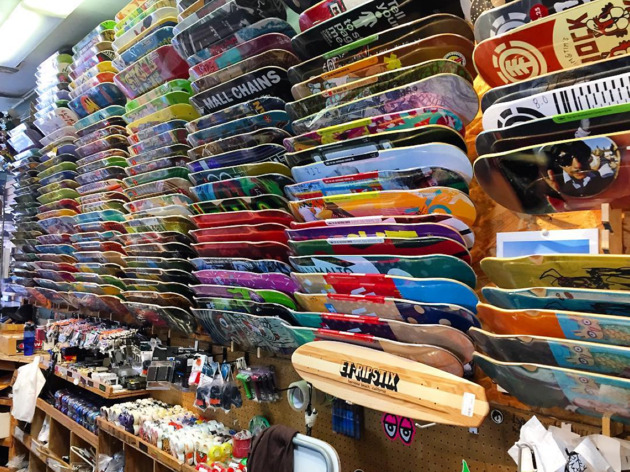 Surf, with rows of skateboard decks hanging behind the cash registers and photos of local surfers posted on the walls, gives you a sense that you are in an important place in LA surf and skate history. 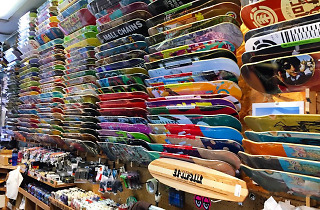 ET Surf is the place for all your skateboarding and surf needs. While I don't do either of those, my fiance does and every birthday and Christmas present usually is related to one of those activities, and I find myself at ET Surf. The employees there are so knowledgable and always walk me through the best products to get him—and they don't just try to get me to buy the most expensive thing. They ask me about him and what he likes or how he will be using it and then direct me to the best products. It's never overwhelming and I always leave happy, and my fiance it always happy once he opens his gifts! They also have some cute women's clothes and bathing suits!